What of the recently declassified documents themselves? Are they the long sought-after 'smoking gun' that some would believe? The Guardian's Chris McGreal ("Revealed: how Israel offered to sell South Africa nuclear weapons") is convinced, but even author Polakow-Suransky doesn't seem to think so. In fact, a more careful reading of these documents (and admitting that only a few of the thousands of documents Polakow-Suransky obtained have been published) suggests a less confident interpretation. Are P.W. Botha and Shimon Peres discussing Israeli nuclear missiles? Polakow-Suransky suggests that the code 'chalet' refers to the Jericho missile, a short-range (500km) ballistic missile capable of carrying a nuclear payload. He interprets the heavily corrected documents to read: "Minister Botha expressed interest in a limited number of unit of Chalet provide [sic] the correct payload could be provided, Minister Peres said that the correct payload was available in three sizes. Minister Botha expressed his appreciation and said that he would ask for advice." But the original documents clearly shows that the word 'provide' had been replaced (probably by Botha and Peres after reviewing a secretary's original version) with the phrase 'subject to.' The South Africans can use a Jericho missile, if they can obtain the desired payload. Peres, in a sentence also crossed out, informs Botha that the payload is available in three sizes; he does not say Israel can provide the payload in one of three sizes. He never identifies any payload as nuclear. Botha: Mr. Minister, we might be interested in obtaining a few - we've agreed to use the term Chalet, yes? - We can use Chalet, if we can also acquire from somewhere the correct payload for our needs. Peres: Yes, of course. It's my understanding that the payload you're speaking of is available in three sizes. Botha: I appreciate that information. I will obviously need to seek more advice on the subject. A follow-up memo by South African military chief of staff Lieutenant General R.F. Armstrong, titled "The Jericho Missile System" (not 'The Jericho Nuclear Missile System') corroborates this version of events. The inclusion of this caveat seems unnecessary if Israel was providing a nuclear-armed missile. In any event, Armstrong confirms South Africa's own nuclear program. There's an inherent risk in speculating on past events: they're often verifiable. 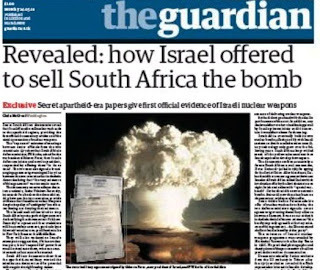 Did Israel supply South Africa with nuclear missiles? No. Would South Africa have used nuclear weapons against an internal or external enemy? Nope. The country possessed six atom bombs, never used them, and destroyed them voluntarily. Did Israel give nuclear knowledge to a rogue state? Maybe, although it's unlikely South Africa used Israeli assistance in developing its nuclear devices, according to David Albright, who has written extensively on nuclear proliferation and South Africa. In any event, both countries were developing nuclear technology simultaneously. Israel surely knew this when it engaged in arms discussions. Not in dispute is the fact that both Israel and South Africa received nuclear know-how, technology and materials from the US, France, the Uk and West Germany. Would Israel use nuclear weapons against a neighbouring state? Well, if Israel possesses nuclear weapons, it failed to use them when 1800 Syrian tanks were pouring over the border into the Golan and tens of thousands of Egyptian soldiers were crossing into the Sinai; nor did Israel use these weapons in response to Iraqi rockets in 1991 or Hezbollah rockets in 2006. It seems evident that Israel's nuclear threat is a deterrent only to the use of WMD's and not conventional weapons. As such, Israel's policy of ambiguity has likely prevented the use of chemical weapons, which several of Israel's neighbours (including Syria, Egypt, Iran ) are known to possess; nuclear ambiguity, then, has added to regional stability, not the other way around, preventing minor disputes from escalating into a regional war. What is particularly conspicuous is the shamelessly convictive attitude of some journalists: in this case, it is Israel's dealings with the apartheid state (not in question) to imply that the two were 'birds of a feather' with a shared ideology (out of the question). Then there are allegations that Israel is an irresponsible proliferator of nuclear weapons, a charge critics of Israel use as a defence, albeit petty, for Iran's nuclear program. But was Israel flogging nuclear weapons or was South Africa probing about the availability of such weapons? There's a world of difference. Israel never sold nuclear weapons to anyone, and if it exchanged knowledge, so have many others. Again, only Israel should be censured for an act that has yet to be proven. If these aren't double-standards, what are? Posted by Morey Altman at 5/30/2010 11:24:00 a.m. I'm a writer and film and communications consultant. I write for corporate clients, as well as television and print (Jerusalem Report, Essential Ra'anana, Jewish Independent, etc). 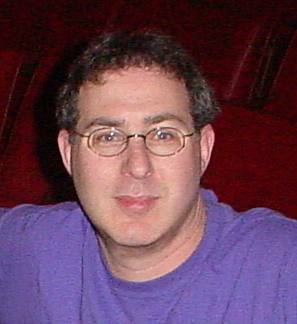 I also conduct educational workshops using film sources, and provide seminars on growth and expansion to film festivals.